Woolworths has dropped hot cross bun ice cream for Easter. YES PLEASE: Hot cross bun flavoured ice cream now exists for you to enjoy all summer long. The Christmas decorations are only just beginning to be taken down, but it seems some people are already thinking ahead to Easter. To the absolute disbelief of many, hot cross buns appeared on supermarket shelves as early as Boxing Day morning. Yep, even before New Year’s Eve, the shelves were stocked with piles upon piles of hot cross buns. 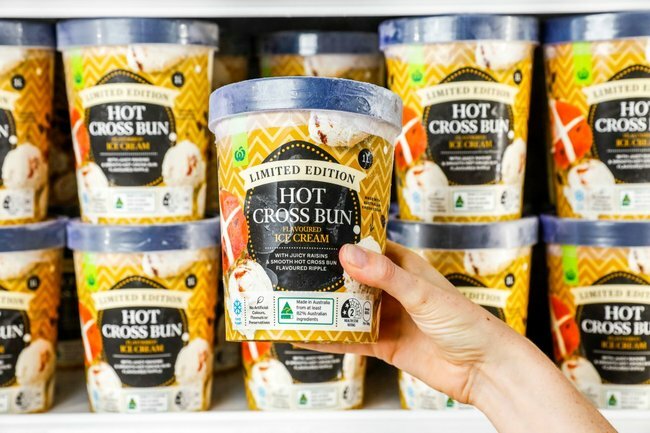 And now, to go with their ever-growing variety of hot cross buns, Woolworths has announced the launch of a limited edition hot cross bun flavoured ice cream. The new ice cream, complete with raisins, Australian cream and a hot cross bun flavour ripple, will be available in Australian Woolworths supermarkets up until Easter for $4.70. Look, we know what you’re thinking – Easter is FOUR MONTHS AWAY. But there’s no denying that the people love their hot cross buns. And honestly, who could say no to hot cross bun flavoured ice cream?! 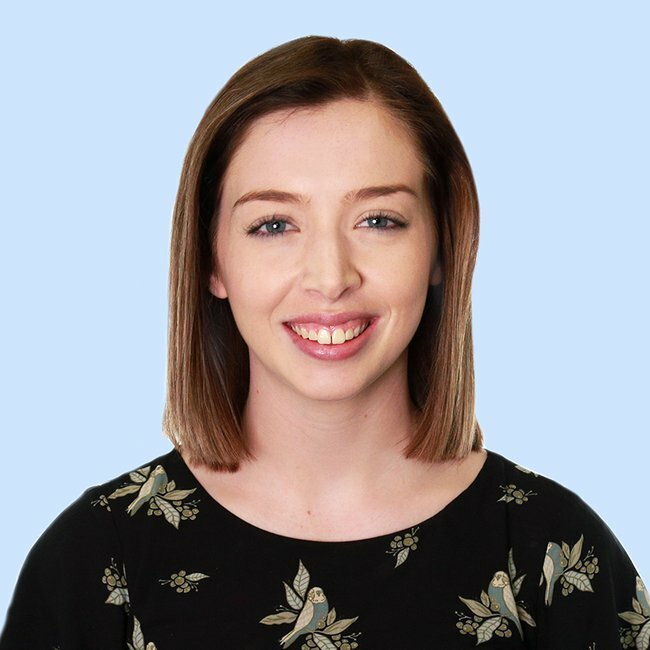 In the lead up to Easter last year, Woolies sold more than 72 million hot cross buns and in January alone, the supermarket sold more than 10 million buns, proving that the Easter treats are popular all summer long. “It’s clear that many of our customers love getting their hands on hot cross buns as soon as they can,” Woolworths Head Baker Ben Thompson said. “Our team of bakers have been busy in the kitchen coming up with a whole bunch of new ideas and we’ll have lots more to surprise and delight our customers with our hot cross bun range,” he added. Alongside hot cross bun ice cream, Woolies are also bringing out brioche style hot cross buns and Cadbury chocolate chip hot cross buns. Catch us eating hot cross bun ice cream on a hot cross bun like a sandwich this Easter. Now, can we have some Easter eggs next please?